Allwil13 had the most liked content! I worked this morning and now my boyfriend and I are sitting on the couch watching Harry Potter. Pretty normal day, really. I agree completely. 100%. The thing about these two is that in many ways they are special form of Nobodies. Heck, even in 358/2 Days one of Vexen's journal entries points out that the replicas could be classified as a special form of nobody. The Riku Replica was brought to life as a result of data that Vexen extracted from Riku. As a result, when he died that data just returned to Riku, and so did Repliku. I imagine that we'll see him again and at some point he'll be able to obtain a vessel. I do love your theory that he absorbed some of Zexion's essence. As for Vanitas, like you said Light can't exist without Darkness, so there's no way for Vanitas to completely destroy Ventus and vice versa. I think that Vanitas lives on inside Ventus and he'll eventually resurface. 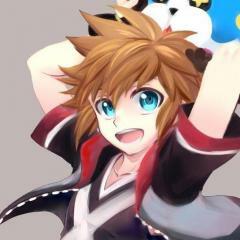 I also love your theory that he'll merge with Data-Sora. I feel like Data- Sora will become relevant again at some point, either to bring back Sora or, like you said, to make Vanitas a whole being of both light and darkness. If it's a general discussion thread, then necroposting is fine. Oof, I've got a bunch of games that I have yet to finish. Like you I haven't finished Radiant Historia; Perfect Chronology or either of the Cyber Sleuth games, but they're on my list of games to finish. Among dozens of others, lol. In terms of games that I'm actively playing at the moment, I recently replayed Tales of Graces F, and now I've started replaying the Mass Effect Triogy on PS3, after which I plan to pick up Mass Effect: Andromeda. I want to form my own opinions instead of just believing everyone else's. I've also been playing the Spyro Reignited Trilogy on PS4 when I'm in a more relaxed gaming mood. Oh, and I've been playing Kingdom Hearts 358/2 Days again. I haven't played it in years and the topic about the possibility of a remake got me wanting to play it again. Hey, everyone. So Kingdom Hearts 3 has been out for almost three months now and we've all had time to process. Many people loved it, and many people didn't, with many pros and cons laid out. However, of all the pros and cons I've seen, there's one con that seems to stick out the most (maybe because I see it so often). What is it, you're probably wondering? Simple: Why did Sora and Kairi not kiss or admit they were in love with each other? Now, I totally understand why people felt that there should have been some kind of acknowledgement on this, and I'm not here to argue or criticize. However, it has raised a question in my mind: does romance really belong in the Kingdom Hearts series? Right from the get go in Kingdom Hearts, it has seemed to me that one of the series' major themes is friendship and the strength of its bonds between people. Sora spent the entire first game searching for Kairi, and so did Riku for that matter. But was it because they were in love with her, or just because they were three friends who would do anything for each other? To me, it felt more like Sora and Riku were trying to save their best friend who just happened to be a girl. Of course, there is also the matter of the Paopu Fruit and the fact that it supposedly ties together the lives/destinies of the two people who share it. But is this strictly in a romantic sense? Or can it just be for two friends who want to remain a part of each other's lives no matter what? Personally, I think it's the latter. There has never been a statement in the series solidly confirming that Sora and Kairi are in love with each other. It is easy to infer, certainly, and I'm pretty sure they did this on purpose. But I don't think it's official. Another pair of characters that I see often paired together is Roxas and Xion. Again, I get the appeal of this pairing in a romantic sense, but I personally think that their feelings for each other are purely platonic. I think that they're just two people who bonded over their similarities and formed a strong bond of friendship. And I know that they don't need to openly state romantic feelings and that actions can prove how two characters feel about each other, but Roxas and Xion have never given me that feeling of "they love each other romantically". Sora and Kairi are closer to this, but even those two have not been able to sell me on a romantic relationship. There is also Lea, Isa and the mysterious girl they befriended in the basement of the Radiant Garden castle. Unfortunately I don't have much to say on this one right now since we don't even know who she is, but once again I never got the sense that Isa or Lea was in love with her. It seemed more like he'd grown to care about her and see her as a close friend so he wanted to help her. Again, though, it's hard to really be able to discuss this one since we never saw any of their interactions. Again, these are just my thoughts, but I've always gotten the sense that romance was never planned to be a focal point in the series, and honestly I kind of want it to stay that way. I like that we have a series that has friendship as its main theme rather than romance. I just feel like things like kissing and stuff like that wouldn't feel right; I think it would feel really shoehorned in and not natural. But I've gone on for a while (sorry about that) and I'm curious to hear what you guys have to say. Do you think romance has a place in the Kingdom Hearts series? KH soap and body products I got in the mail!! WHAT??? That's so cool! I should check that site out; it sounds really interesting. I remember last year for my birthday my mom did something kind of similar. I'm a big fan of The Office, and she bought me "Shcrute Farms Soap" from a woman in her area who makes soap and bath products inspired by media content. Remember Kingdom Hearts: The Soap Opera? It looks like it's not on Youtube anymore, but I remember it was actually really funny. OMG YES! I used to love those! Learning ASL (American Sign Language) has been on my bucket list forever. I've seen how happy people are when another person shows that they can communicate using this, and I would love to be able to offer this as well. If this is for spoken languages only, though, I would love to learn Bulgarian. I already speak French, so I have no real need to learn any more languages. But one of my coworkers speaks Bulgarian and it sounds so cool. Japanese would be nice to learn too. First off, I agree with your point about them not being cameos. This series is a cross between Disney and Final Fantasy, not just an RPG involving Disney. However, to be honest, I never really cared much about the FF characters in Kingdom Hearts. Not their inclusion itself, mind you, just the characters themselves. Most of them were from entries that I don't really care about (with the exception of FFX), so their inclusion didn't really add much to the experience for me since I had no real connections to the relevant characters. Now that being said, I do understand why people were so disappointed with the complete lack of FF characters in KH3 aside from the Moogles. This is the first numbered title to not include them, and I totally get why people were angry about that. But to be honest, I barely even noticed their absence. The only game where I felt that the FF characters' inclusion felt truly natural was in KH1. In KH2 they felt kind of shoehorned in, almost like during the later stages of the game development Nomura and his team were like, "oh shoot! We forgot the FF characters!" It just didn't feel naural to me. Of course, this is just my opinion, and maybe I'm just crazy. I also remember being annoyed with the inclusion of Cloud and Sephiroth because their presence had absolutely no relevance whatsoever. I do kind of have to agree to some extent here. I didn't think about it at the time, but thinking about it now it does seem very unusual. Squall was essentially the defacto leader of RG in Ansem the Wise's absence, so you would think they would have had to speak with him about their mission. Now, with all this being said, I do hope they keep going with the FF characters in the series, and I hope they go back to being more important in the future. The only thing is that I want a new roster of FF characters from other FF games. Give me Balthier and Fran from XII, or Terra, Locke and Kefka from VI. Or Zidane and Kuja from IX. I get that VII and VIII are the most popular entries, but not everyone likes them. Give us more variety; you've got 15 games to choose from. The first time I did the omega I was level 78 and I beat it with a fair amount of difficulty. The second time I was at level 88 and it wasn't as bad. Just make sure you keeo moving around to avoid the attacks.